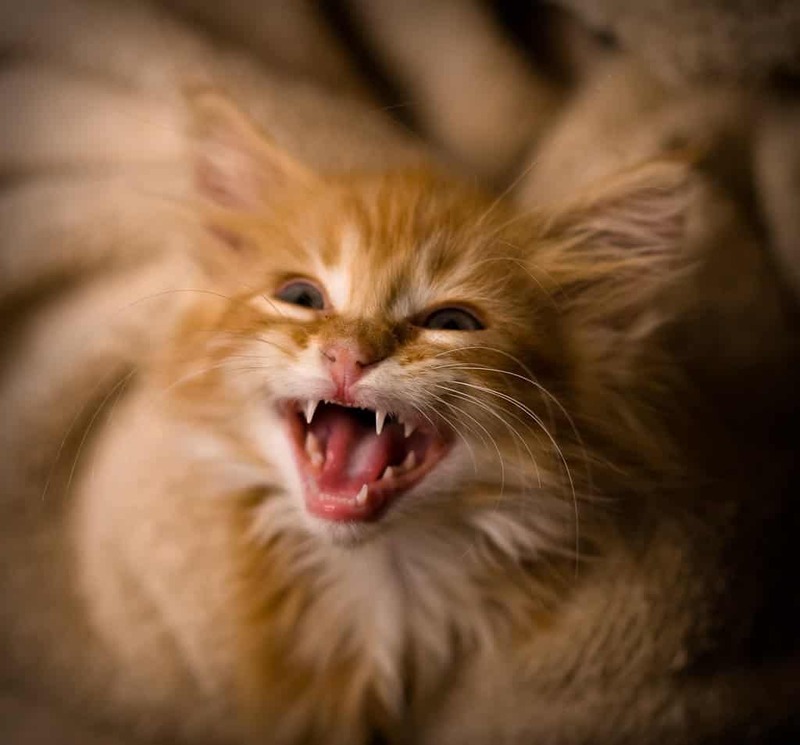 Anyone who has ever spent any time around cats know that not only do they have their moments of utter cuteness, they also sometimes have their moments of fright. 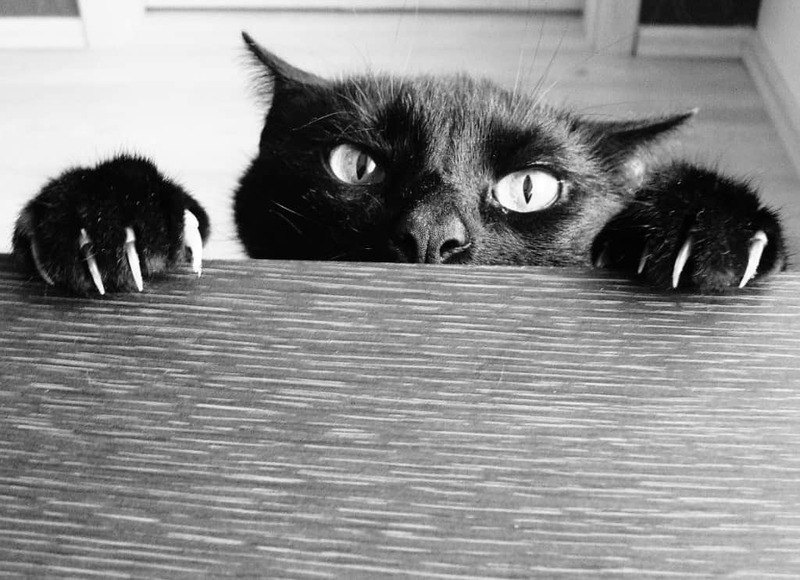 These scaredy cats are more likely to cause you to be scared in the dark of night. Some of them may make you giggle a little as well. 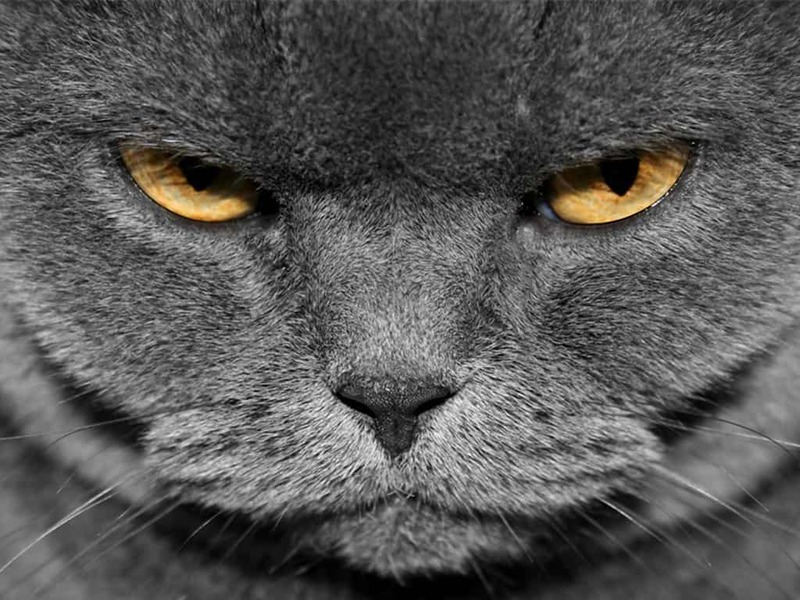 Cats definitely have multiple personalities, and you’ll see some from their darker side here. 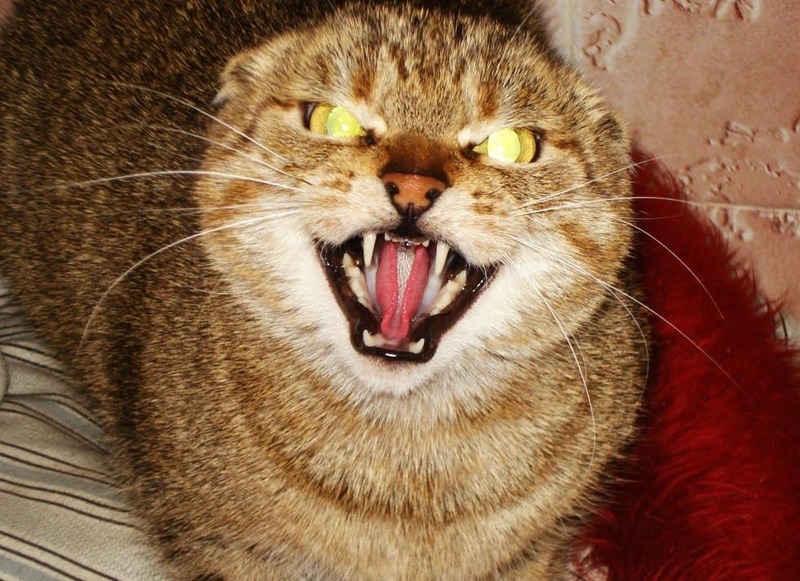 From kittens to adults, you never know if you have an evil cat until it’s too late! 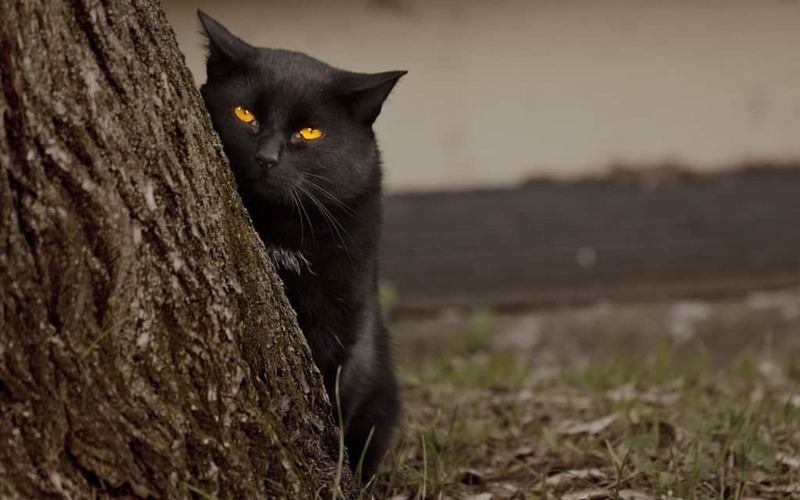 This cat not only has some demonic yellow eyes, but he is pretty good at the creepy stalker look. 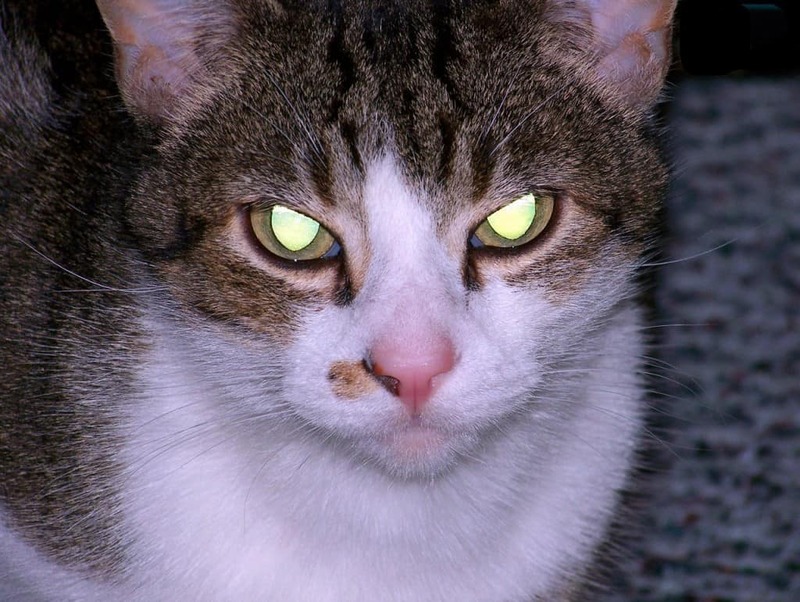 If your cat look at you like this in the middle of the night, you just might think he’s possessed. This cat is taking a peek over the counter at you, trying to determine if now is the right time to attack. This baby is just too cute to be evil, or so you think. This cat has something up his sleeve and it can’t possibly be good. 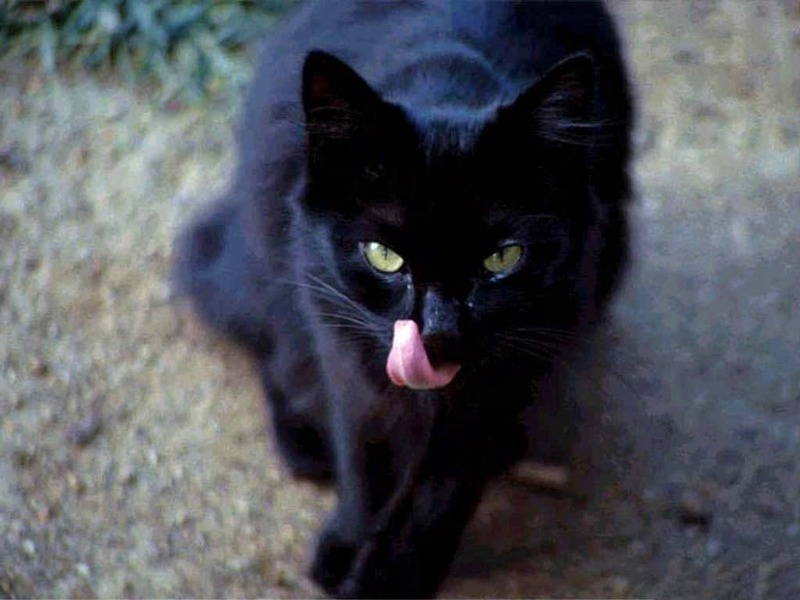 If it weren’t bad enough that it’s a black cat, now it’s making devious plans! This cat is definitely one of the undead and likely sleeps upside-down like a bat. 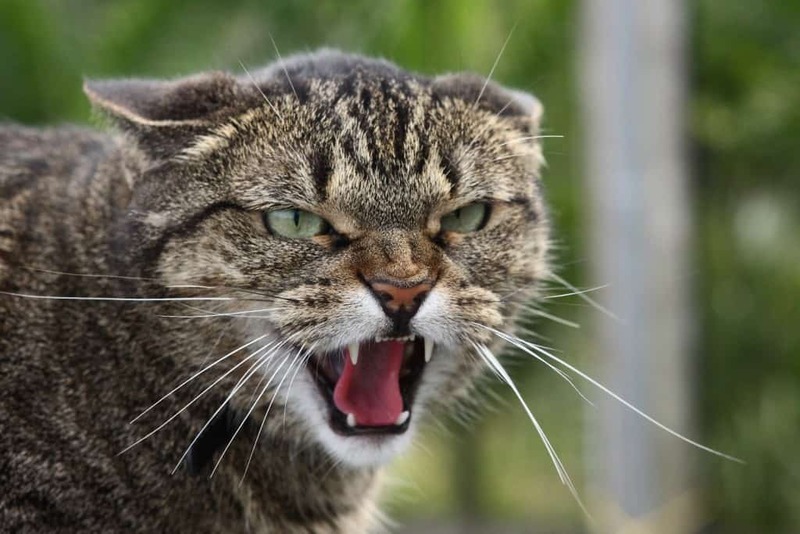 If this is your cat, we suggest keeping your neck covered. 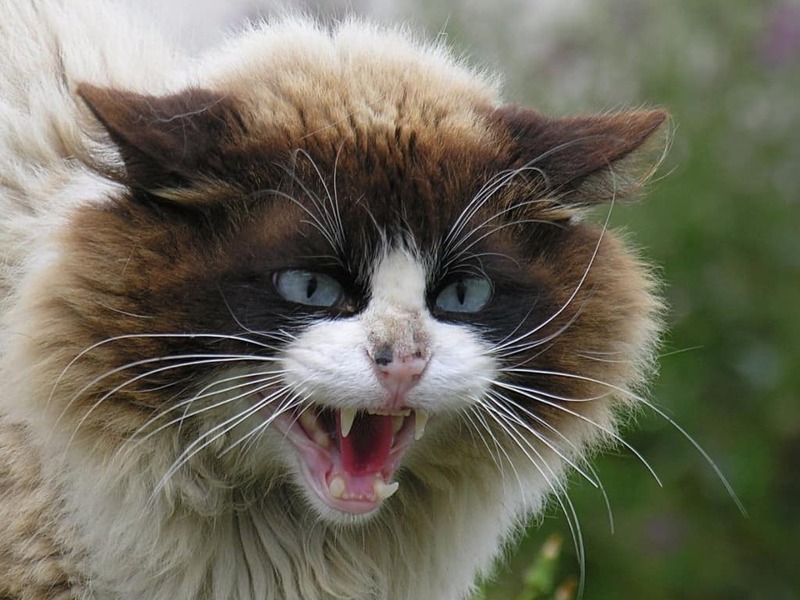 Not only is this cat ready to feed on you, his eyes appear to be completely white. That means that the demons have already taken over. 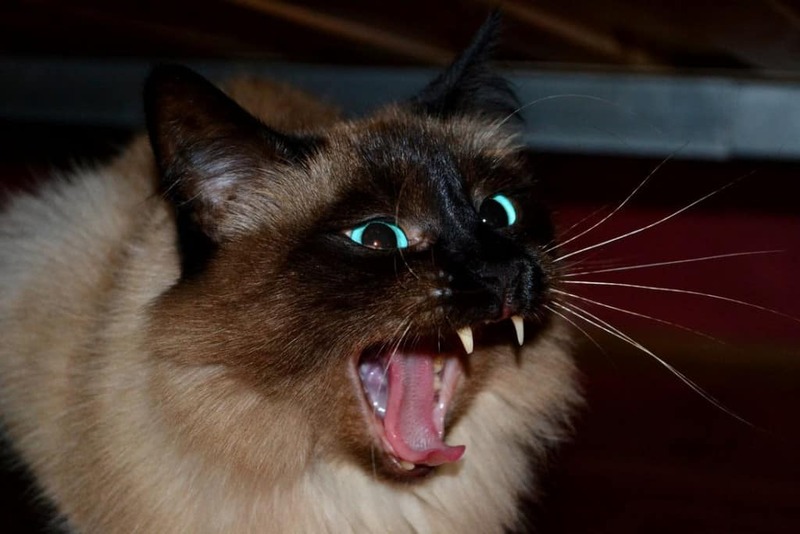 He doesn’t need to bare his fangs — he knows you’re frightened simply by his evil, methodical stare. 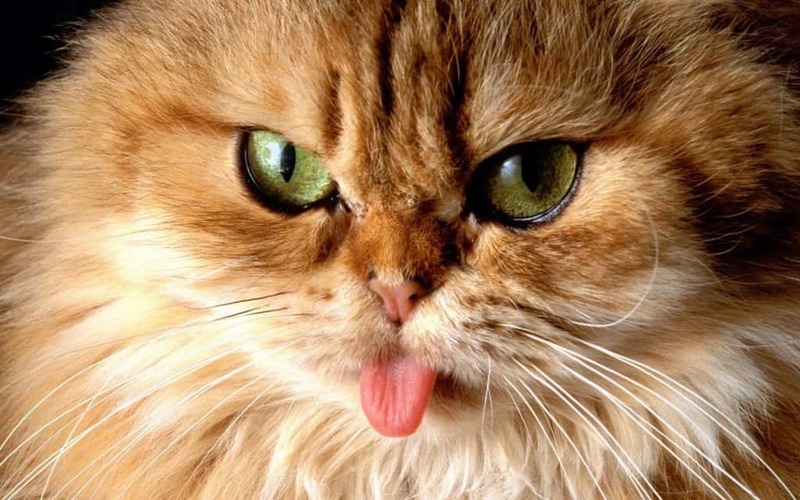 If you see a cat doing this, you might want to get away. His ready to lunge and you may be the target of those sharp claws! 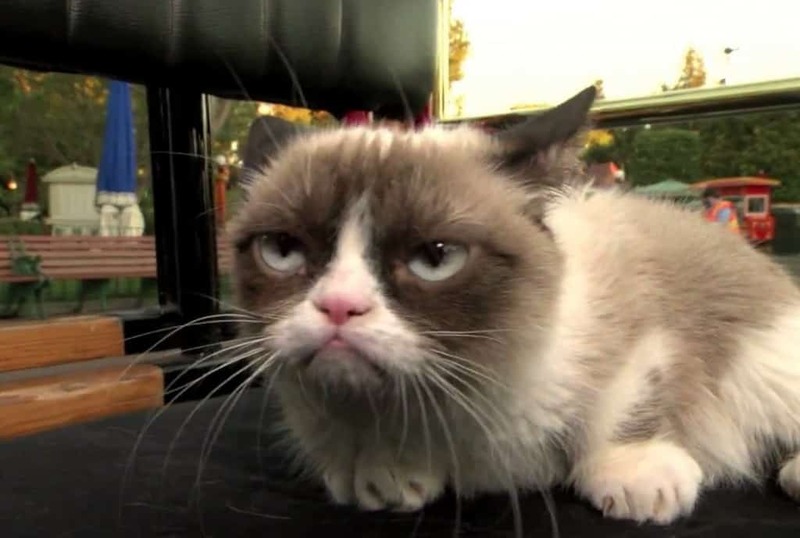 This is one of the funniest looking evil cats ever. He’s so cute it’s hard to be afraid, but that means it’s even more important to beware. 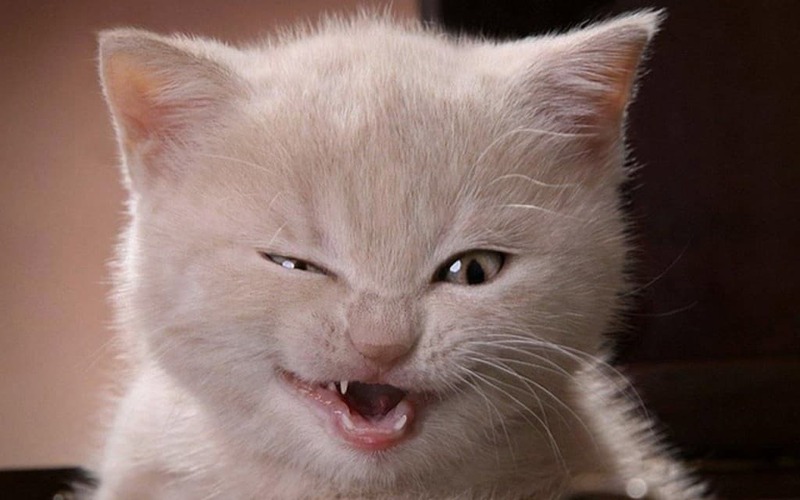 If this cat was painted up and dressed up just right, he’d be the perfect Joker Cat. Can’t year hear his maniacal laughter? 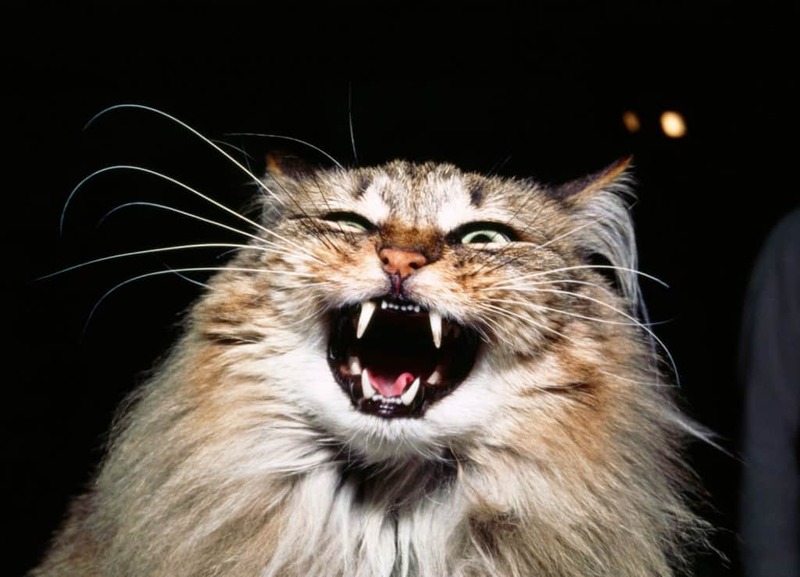 He’s a cat, he’s a werewolf… No, he’s a werecat. 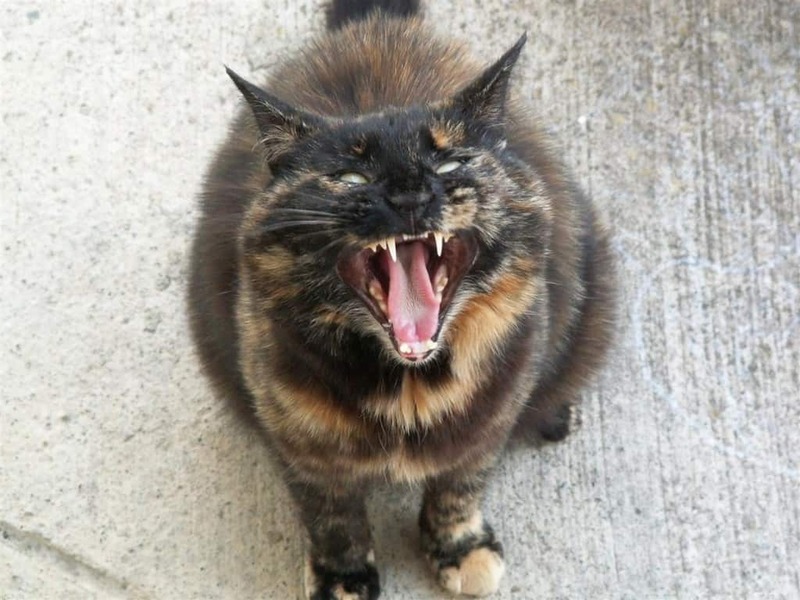 The most vicious cat of all, this monster will rip your head off! 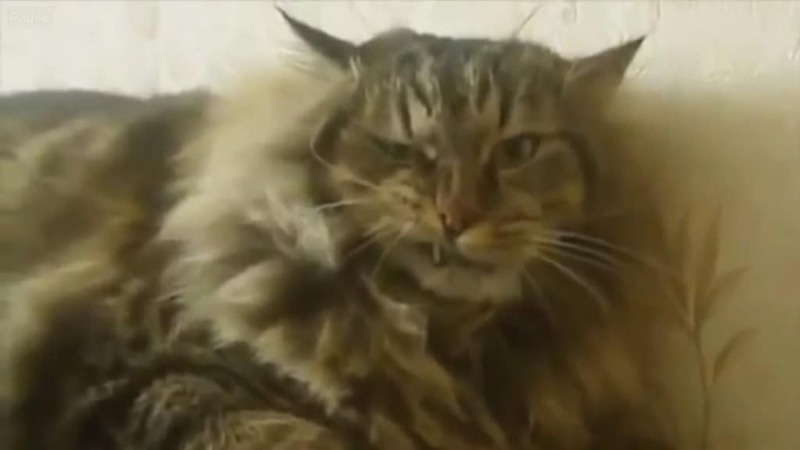 The only thing missing from this cat is the white, frothy saliva foaming from his mouth. This cat is evil, but he’s more like a trickster. Let’s call him Loki. 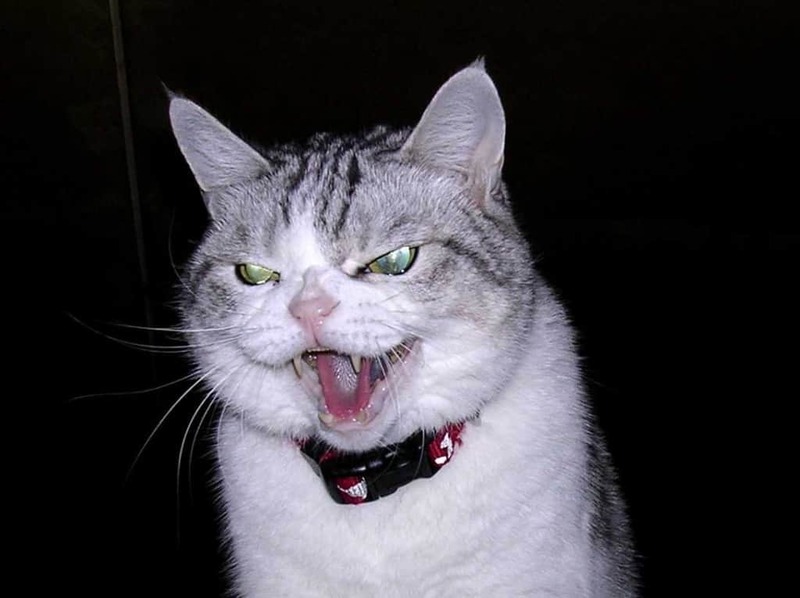 This cat is mad that you didn’t feed him on time. You can tell by the evil eye and the serious stare. 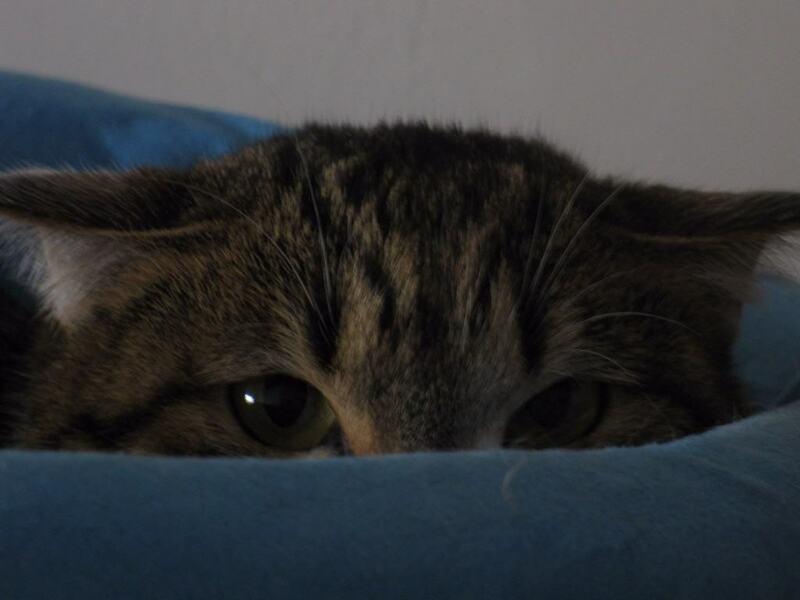 Like a snake, this cat is ready to strike. Before you know it, you’ll have puncture wounds on your arm. He’s a little evil and he’s a little crazy. You might laugh when he tries to attack, but he may have a trick hidden up his paw. 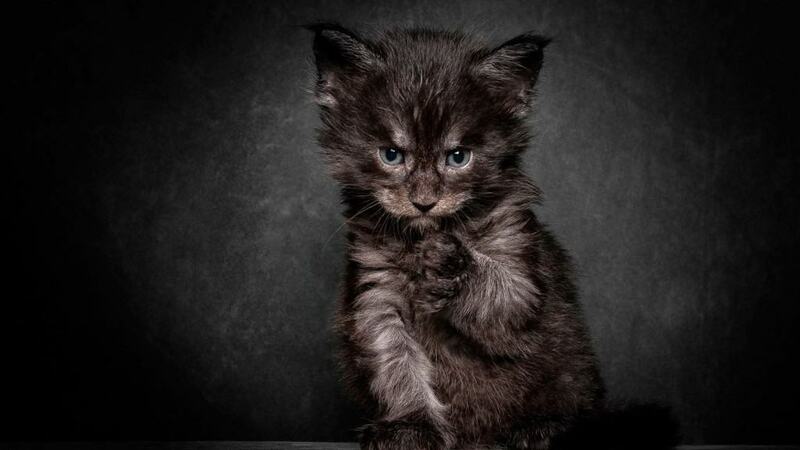 Adult cats aren’t the only ones that are good at making evil plans. This little one is surely going to grow up to be an evil genius. 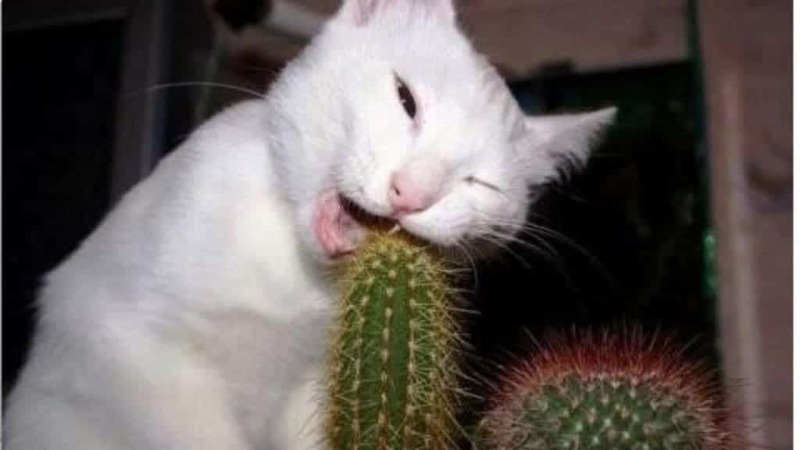 This cat is so tough and evil that he feeds on cacti just to stay sharp and on point. She’s not really evil, she’s just grumpy.